Every writer is taught this important rule: make use of all five senses in descriptions, to transport the reader to the setting of the piece, to immerse them in the location so they feel everything the characters feel. My first two books, Summertime and At First Light, are set in my home state of Florida. They dramatize stories decades before I came on the scene, but I was very familiar with the landscape, the culture, and the life there—unlike many of my readers. I wanted to create the full sensory experience of the chain of islands known as the Keys, from the crushing heat and humidity, to the tart sweetness of key lime pie, to the scream of hurricane winds. When my character, Alicia Cortez, walks down Duval Street in Key West for the first time, I walk with her. My shoes are covered in limestone dust, my ears are filled with the sounds of hawkers’ cries, my eyes squint against the relentless sun. There is no shade for relief from the heat. My mid-brown complexion draws unwanted attention from men and women. I feel exposed, unsafe, hurrying towards my destination, where I hope to find sanctuary. But unless you are writing a travelogue, such descriptions are only the beginning. Yes, we want the reader to know how the flowers smell, how the pastry tastes, how the birds sound, how the rain feels on the skin. But locations have something else, which is much harder to communicate only with words: they have atmosphere. You know the feeling you get from a place? It may be welcoming or menacing, hopeless or cosy, or have a sad, faded glory. You may get the sense that something bad happened there, or there is a secret waiting to be discovered. This is where the location becomes a character in its own right—not just a backdrop, but a full participant in the story. A beautiful beach can be a place of terror; a dilapidated brothel be a place of hope. It all depends on the people and what happens to them there. As well as my memories of life in Florida, I drew on historical images for my sense of place, partly because I have a very visual imagination, and partly because they provide that elusive quality of atmosphere. 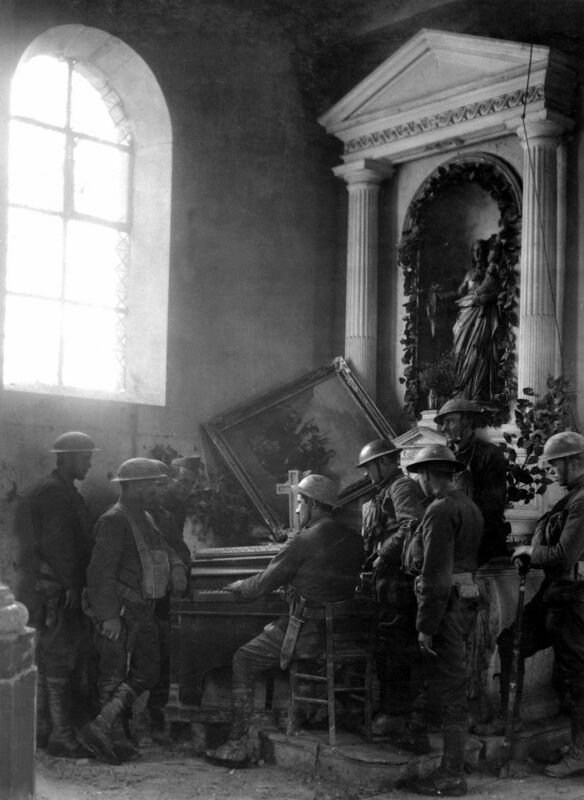 I have written whole scenes inspired by a single image, such as the one below with the American soldiers playing a piano in a ruined church during WWI. The light falling on their helmets, the fragments of glass left in the window, the men’s attentive posture as they focus on something other than killing for a few moments…I wondered what else could have happened in that church. This gave me the central trauma for my character, John Morales. I like to scout location shots when I can. 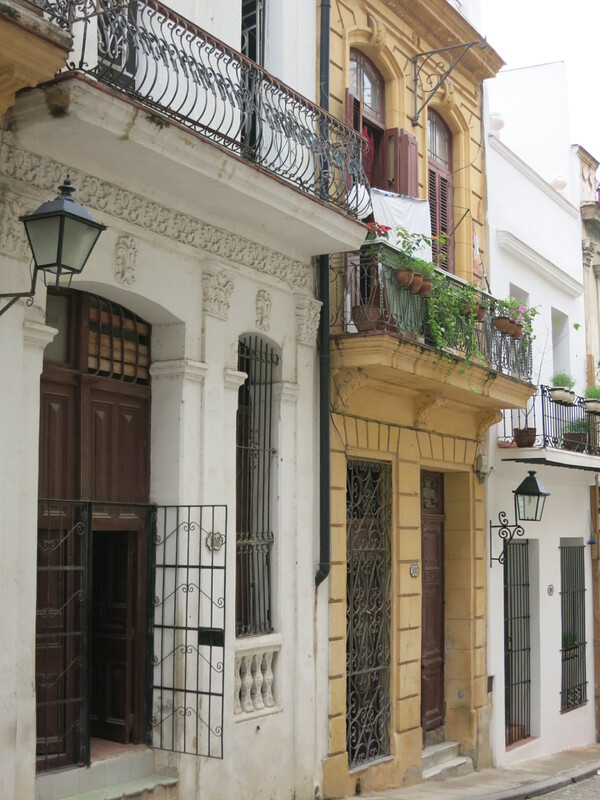 I walked the streets of Havana until I found this tall yellow house, which fitted my vision for the place where Alicia grew up, in the shadow of the presidential palace. Contrast this with the weathered ‘shotgun’ house in Key West, so called because one could fire a rifle from front to back without hitting anything. 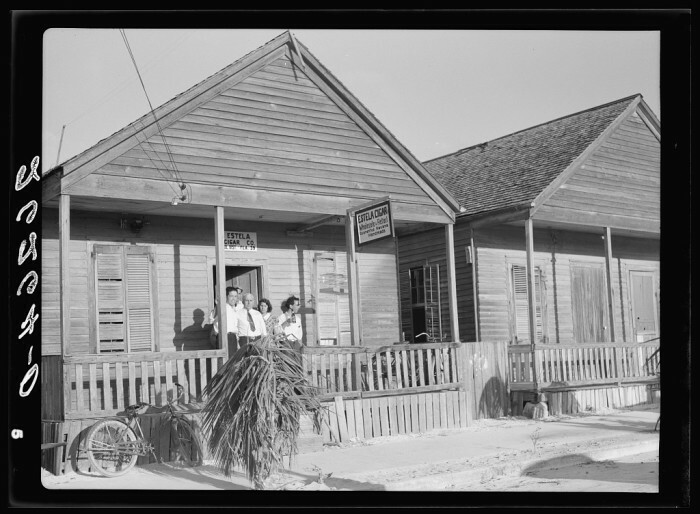 These houses were mostly used as accommodation for thousands of Cuban cigar factory workers. 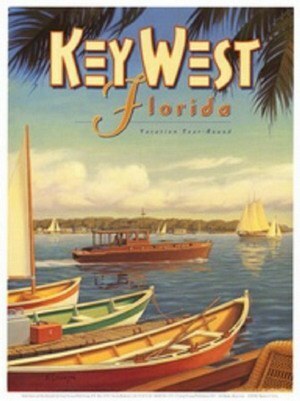 In the early 20th century, there were more Cubans in Key West than Americans. Aside from images, I find the other fascinating details that contribute to the fully rounded sense of place by doing the same as every other writer of historical fiction: spending hours and hours and hours researching. This is how I learned that sewage from Key West outhouses was collected in barrels and taken out to sea to be dumped, and that a former circus gorilla was put to work unloading cargo on the docks. I catalogue all these details, to be woven in were they fit the story. And this is the key: none of this, however exotic, would have more than curiosity value without characters who the reader cares about, and a story that keeps them turning the pages. This is why I always ask myself how the location detail contributes to the atmosphere, to the narrative drive, and the development of the characters. It is so easy to be enthralled by fragments of history. I have notebooks full of material that I haven’t been able to use. 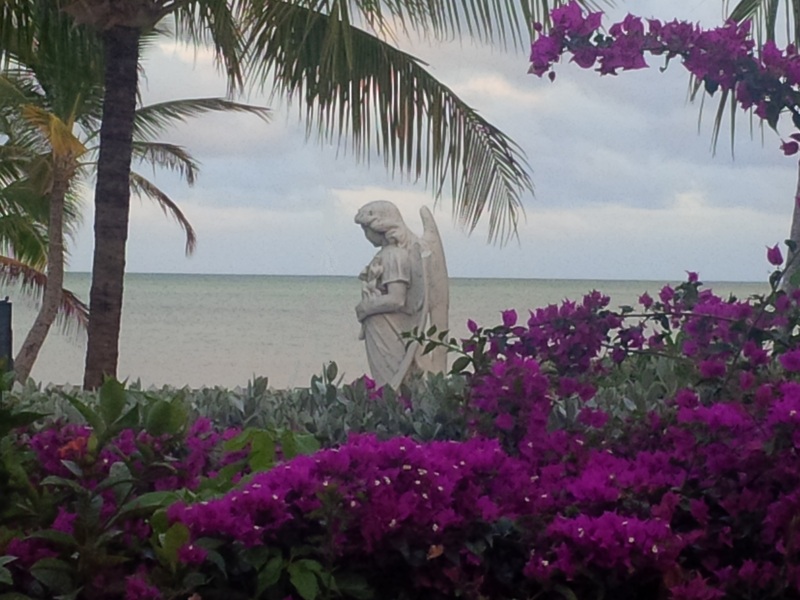 Having written two novels set in Florida, it is time to go elsewhere for my next book. It will be as much a journey of discovery for me as for my readers! Thank you to Vanessa for this fittingly atmospheric piece – I struggled with the climate on my only visit to Florida six years ago but there’s no doubt the Keys are on my travel wishlist! On a very different note, if you haven’t come across Vanessa’s beautiful and moving account of living with terminal breast cancer – you can find it here at Red Online. At First Light confirms Vanessa Lafaye’s gift for uncovering unpalatable but little-known aspects of American history and bringing them back to life by means of everything mentioned above. As someone with a poor grasp of big picture ‘History’, I’ve enjoyed both her novels for the more intimate and approachable perspective they offer, based on real events that few readers will be familiar with or discover any other way. Like Summertime, this is an immersive story brimming with atmosphere and a sense of place which is integral, not a backdrop. John and Alicia are complex and memorable protagonists and I found myself swept up in the drama and emotion of the conflicts they face, not least because John has a combination of things going on that made him pretty irresistible! The many characters which make up this small community feel true to their time and origins but are sufficiently rounded to resonate even today, much of the prejudice and intolerance still uncomfortably relevant and not just in America. This book raises a lot of questions about justice, morality and individual and collective responsibility. Once again Lafaye confidently tackles issues of racial identity head on, and unavoidably, because none of this would work in sanitised form. But despite her refusal to skirt over shocking and repellent attitudes and incidents, the tone of At First Light is warm, compassionate and very romantic, with a blend of ingredients that give it unusually wide cross-genre appeal. Would love to hear about any novels you’ve read based on fragments of ‘inconvenient history’. The blog is heading towards the summer shutdown as I finally get started on a first draft of my next novel before going on holiday next month. 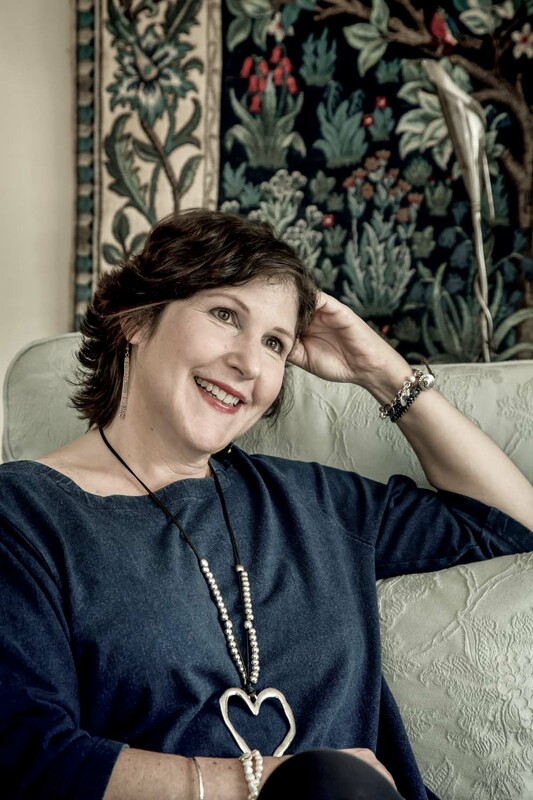 But there are still a few great things to come, including next week’s Writers on Location by Jenny Ashcroft, author of my summer pick Beneath a Burning Sky, on Recreating a Vanished Egypt.